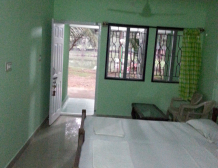 We have six chain Row Cottages (2AC & 4NON-AC) designed on the natural village theme with the front side facing the sea and the back side facing the lake. 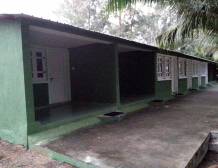 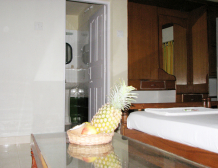 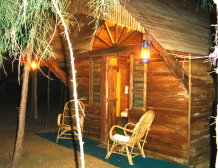 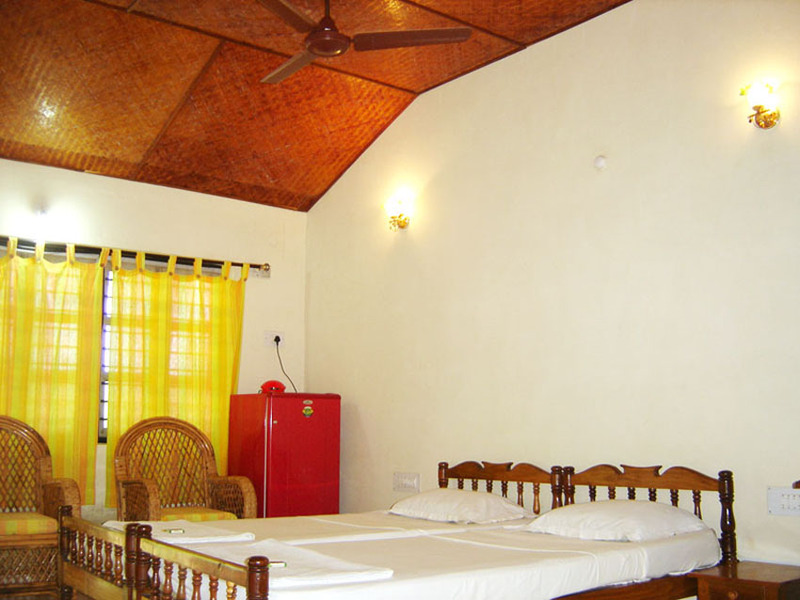 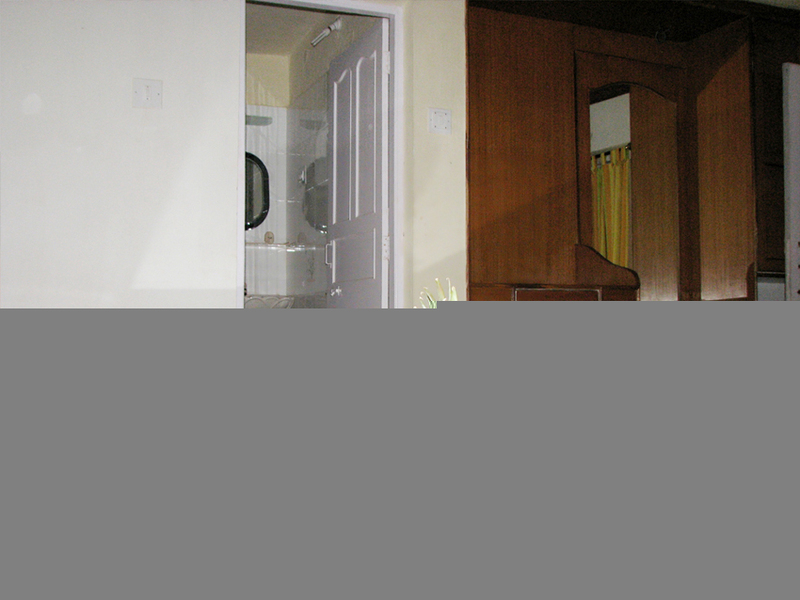 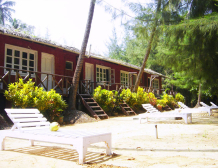 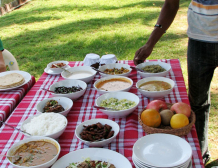 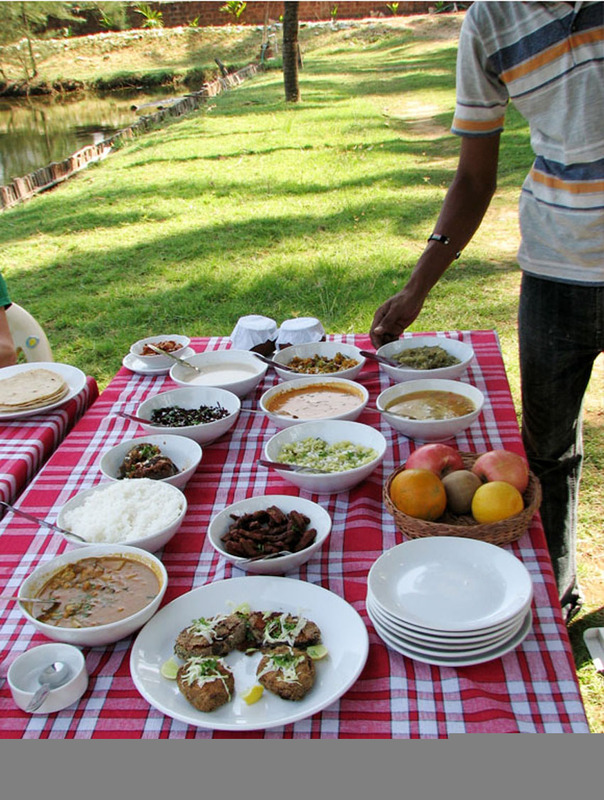 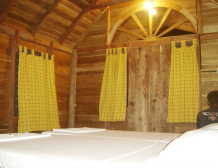 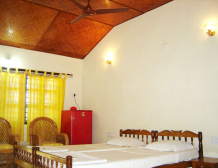 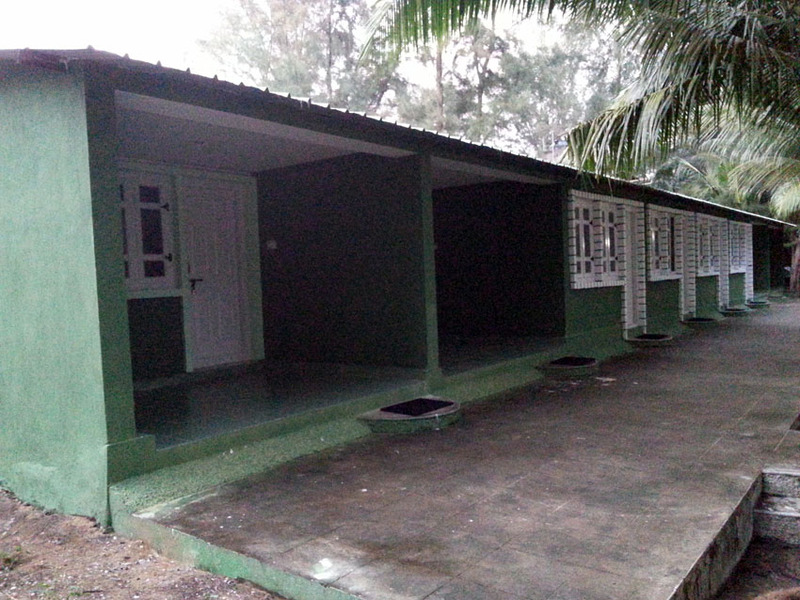 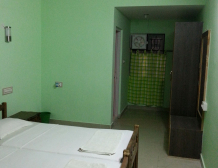 The cottages are well furnished with all modern en suite bathrooms, dressing tables, bamboo sofas, ceiling fans, fridges. 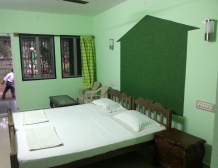 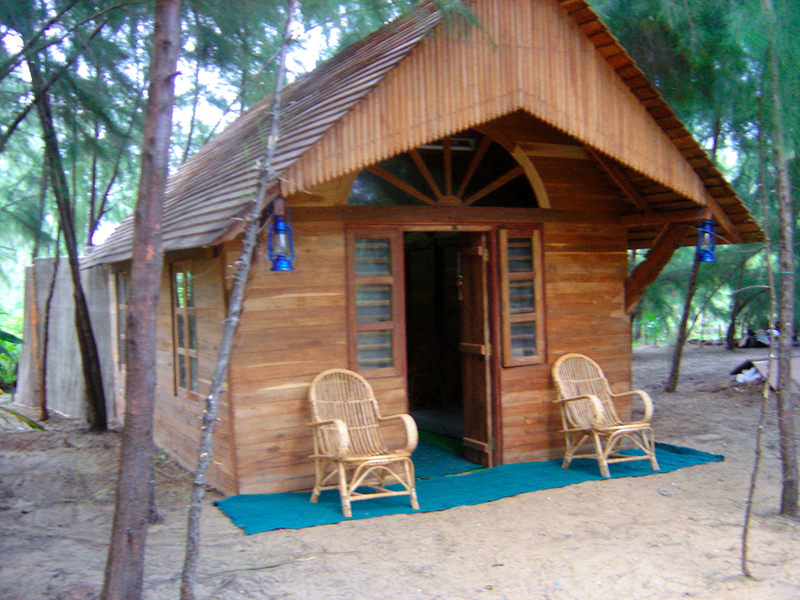 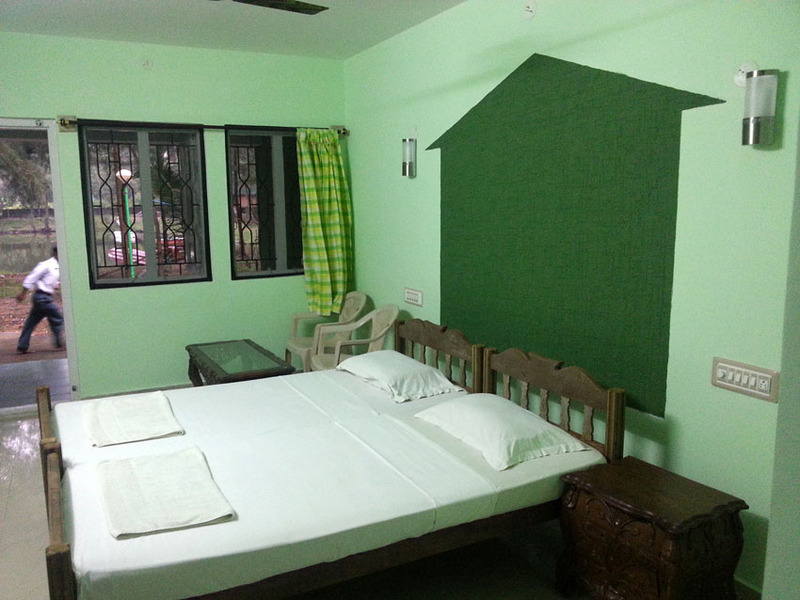 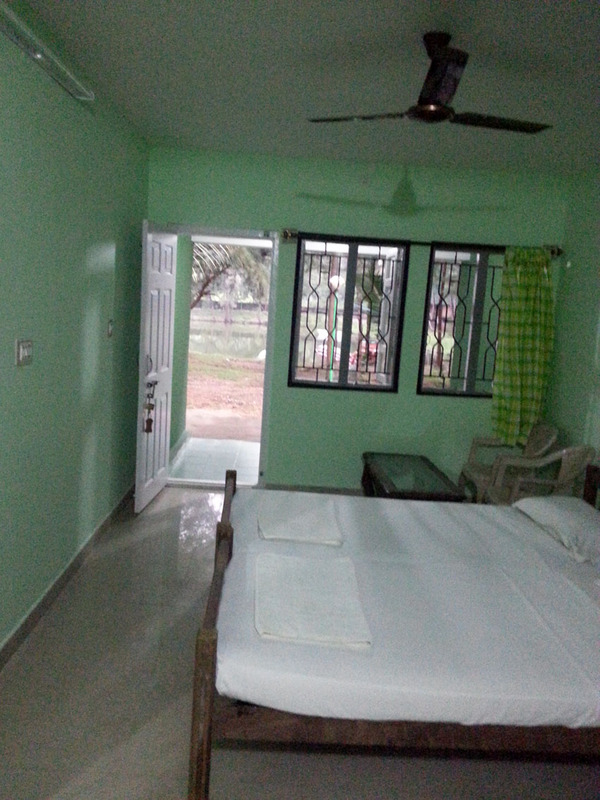 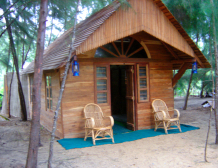 The cottage has a veranda facing the sea and a wooden balcony facing the lake giving a beautiful view of the nature. 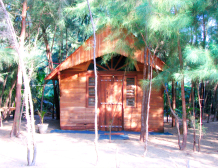 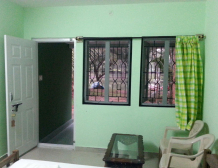 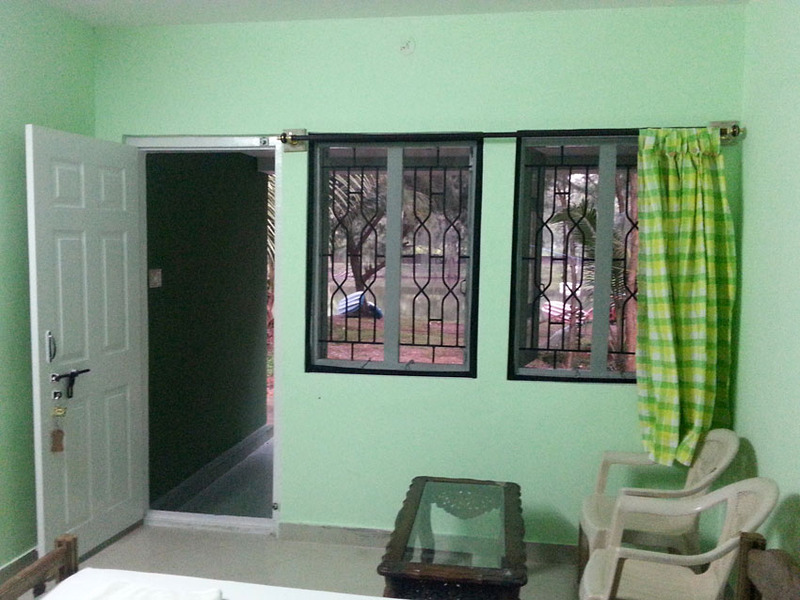 Under the shadow of the verdant trees lies our eco friendly non AC 1 no Wood House. 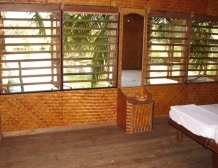 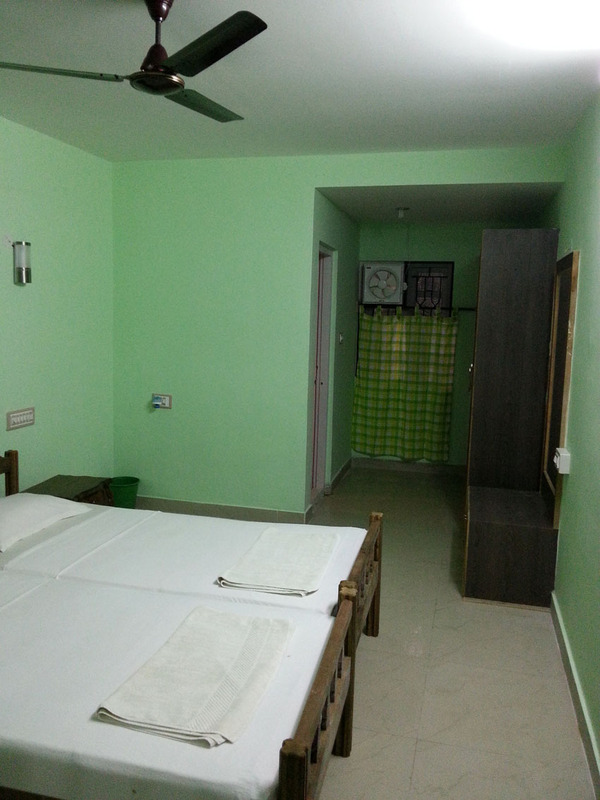 It’s a private stay, keeping away from the rest of the rooms of the resort. 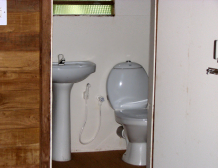 One enjoys all the calm and the pleasant chorus of nature. 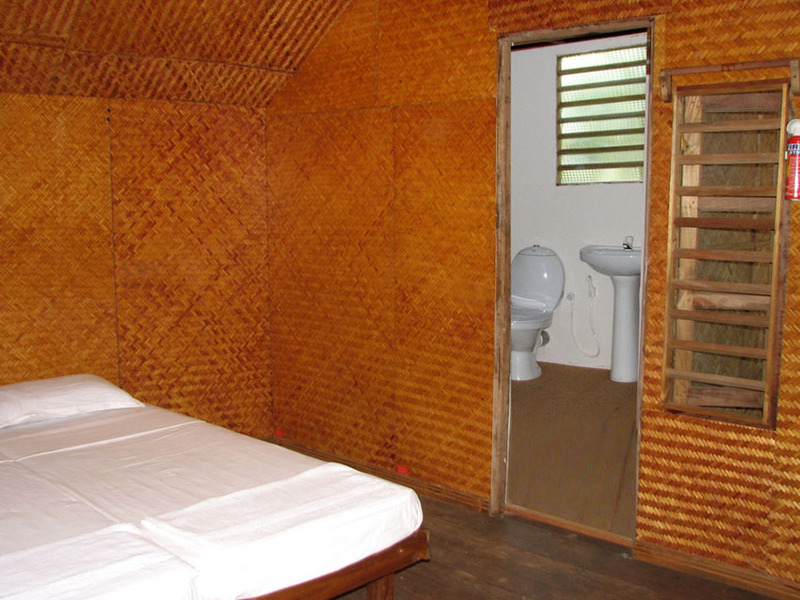 The Wood House is furnished with an interesting blend of antique wooden furniture, modern appliances, and an en suite bathroom. 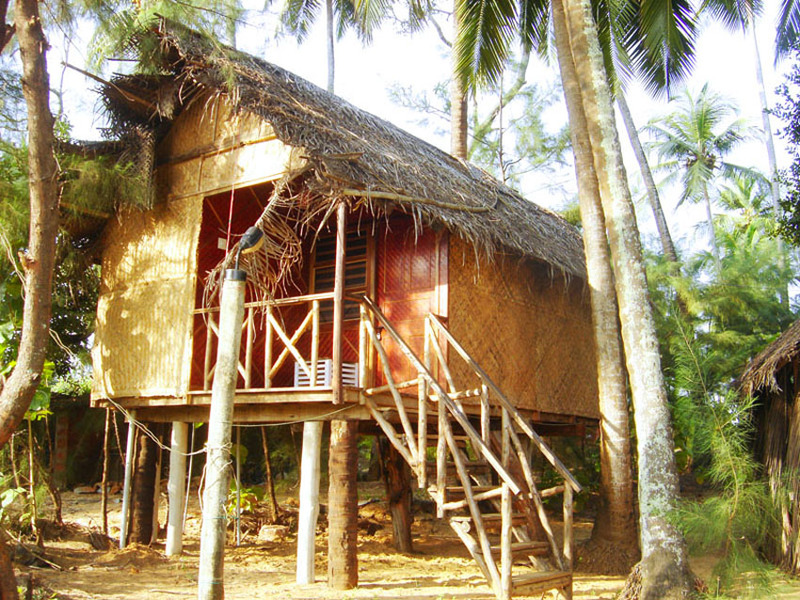 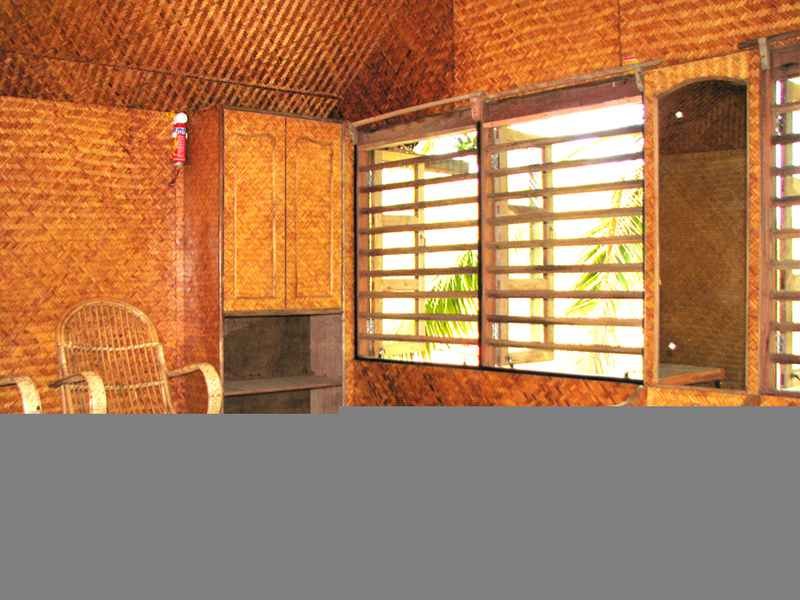 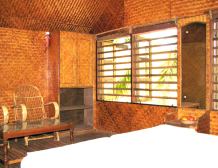 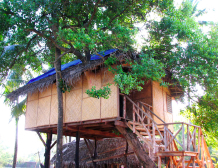 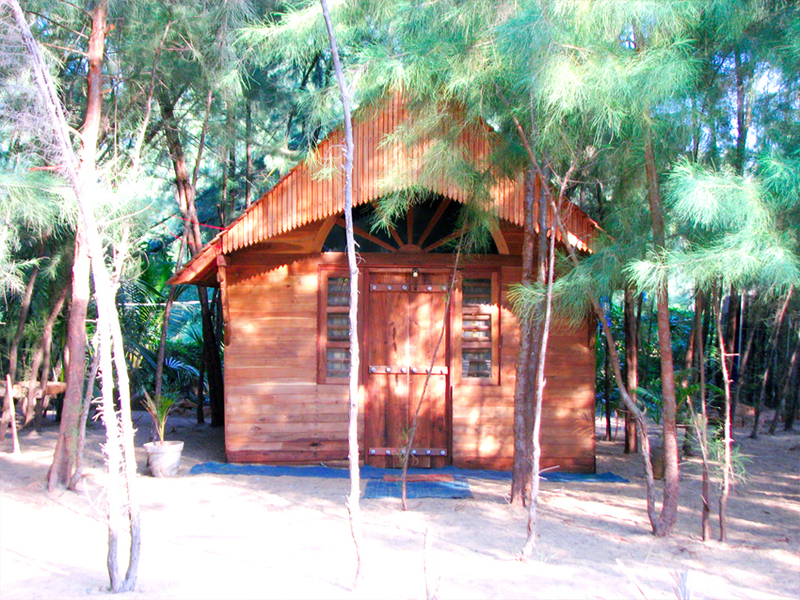 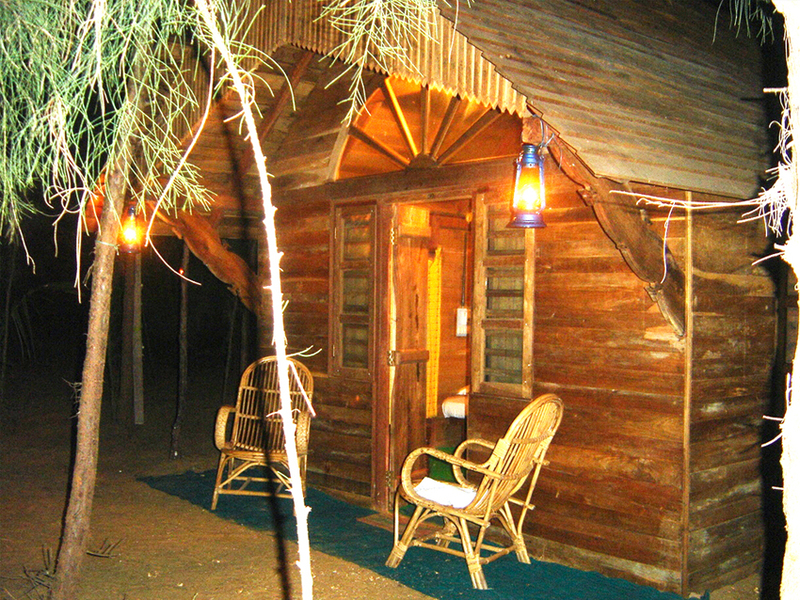 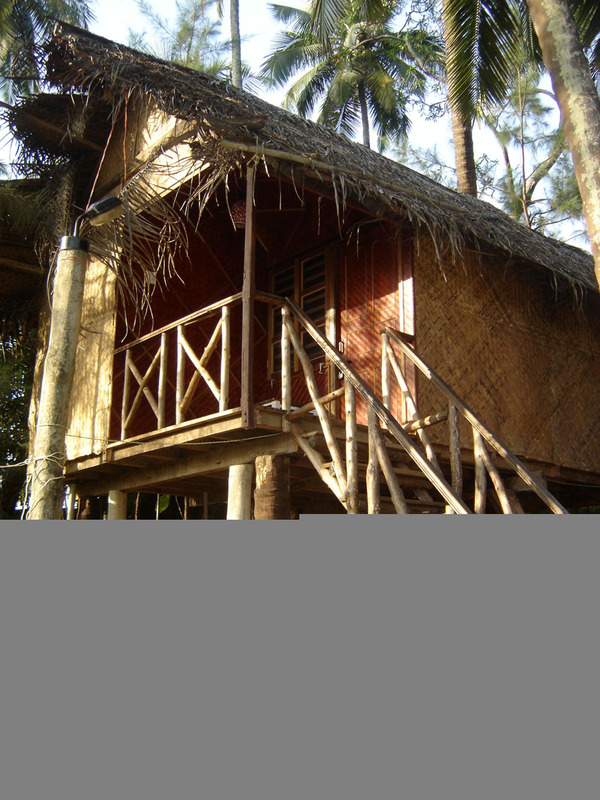 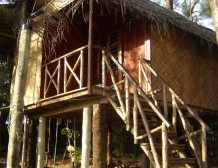 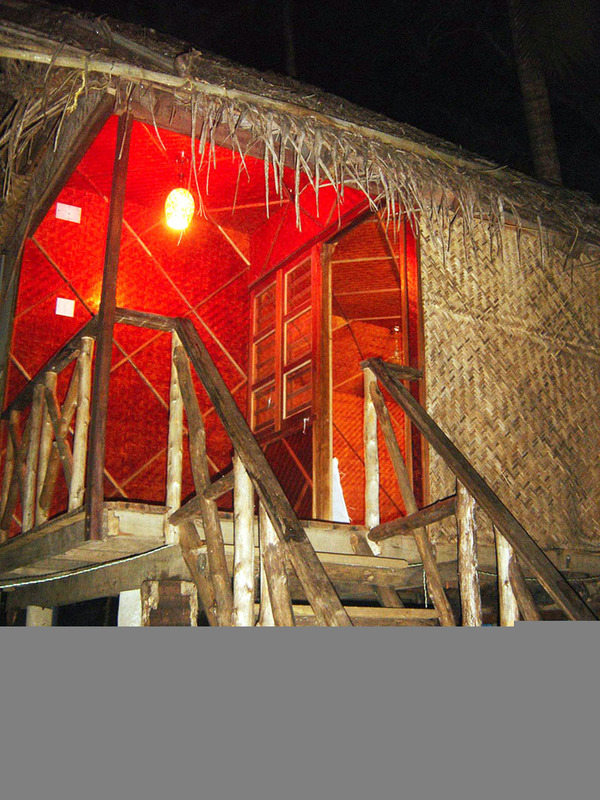 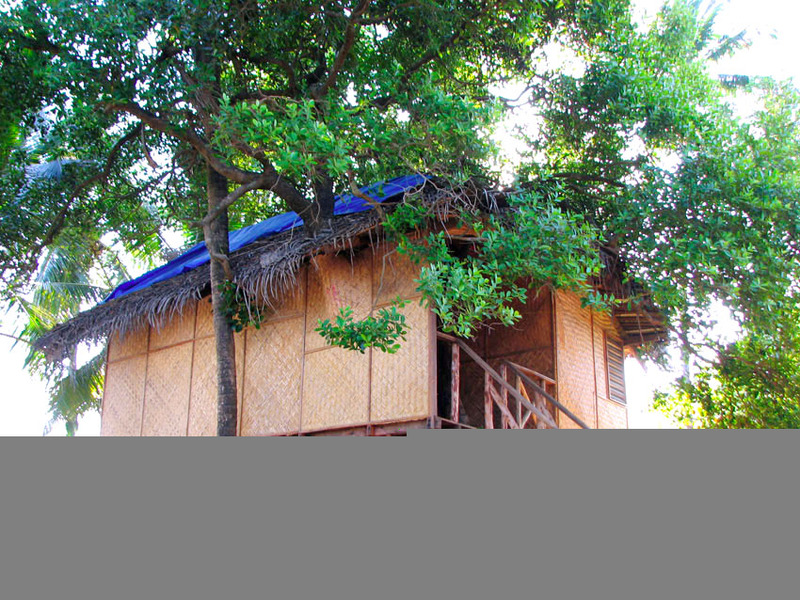 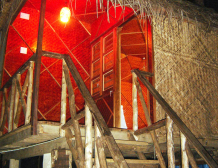 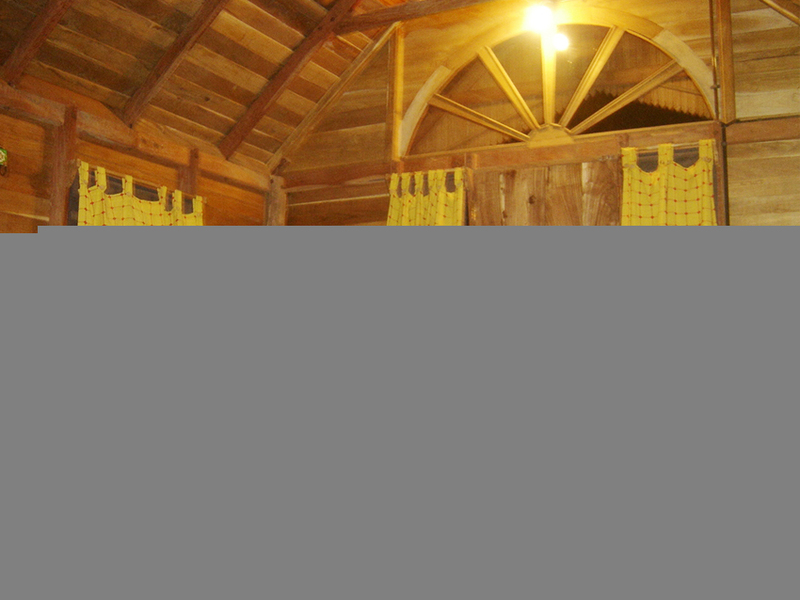 The non AC Tree House in 1 no is an ethnic house built on a tree about 12 feet high with all required facilities. 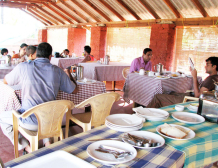 It gives the guest the pristine birds eye view of the sea from the balcony and the lake through the wooden windows. 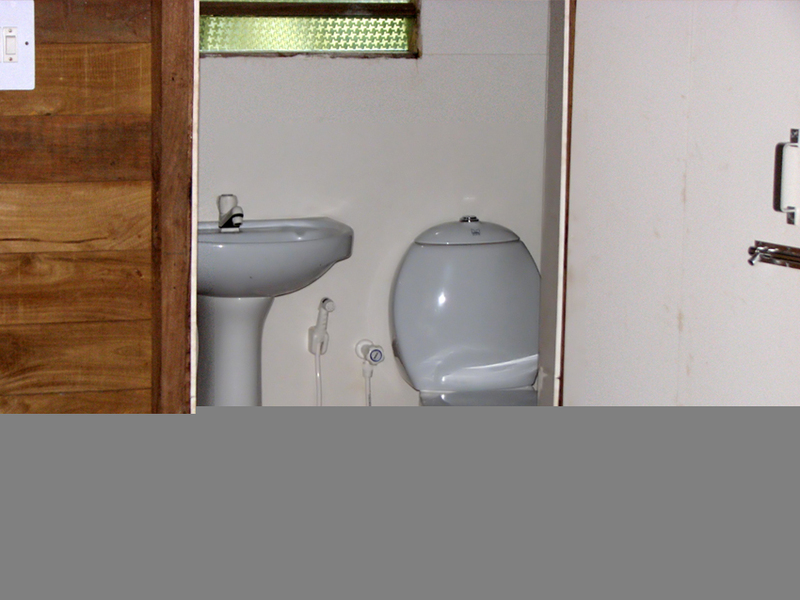 The house has its own attached western bathroom with running water (Hot water on request) available. 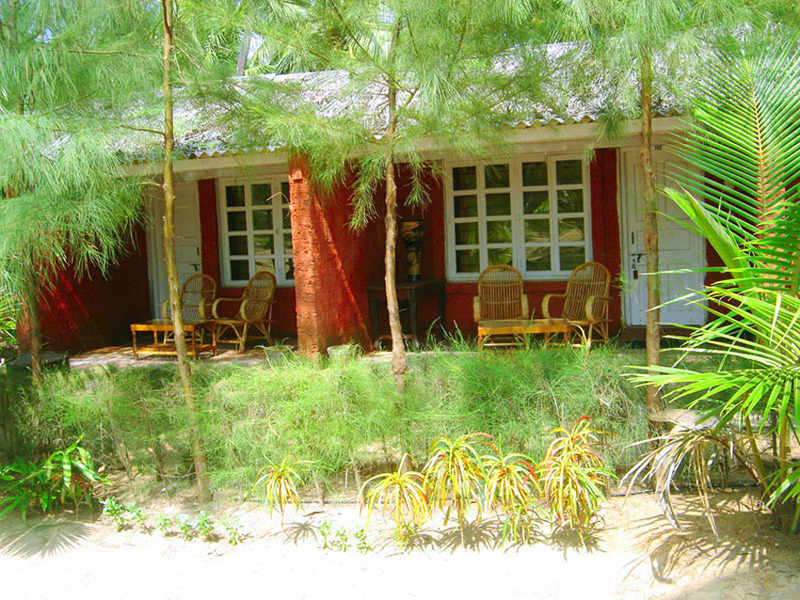 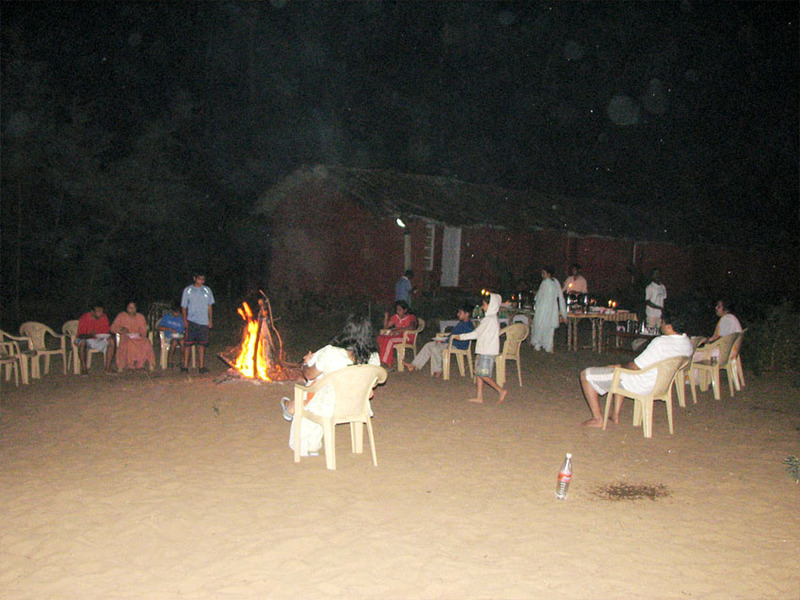 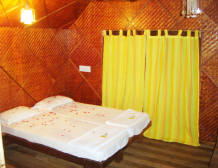 It is an ideal destination for honeymooners as it offers privacy coupled with silenced romantic surroundings. 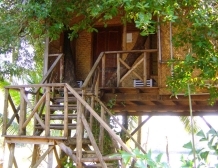 Located right next to the lake is the non AC mini tree house, in 1 no with an attached bathroom, which is 5 feet high in air. 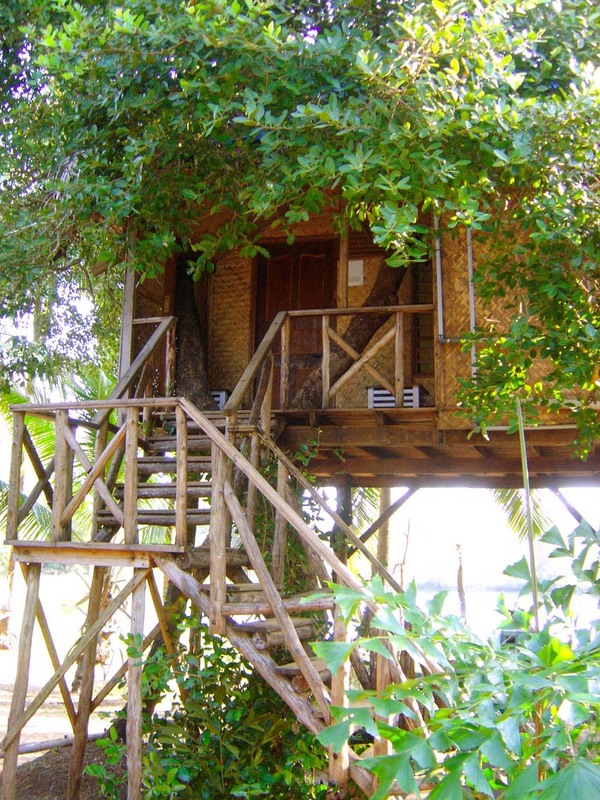 The mini tree house is an all time favourite of all romantic couples. 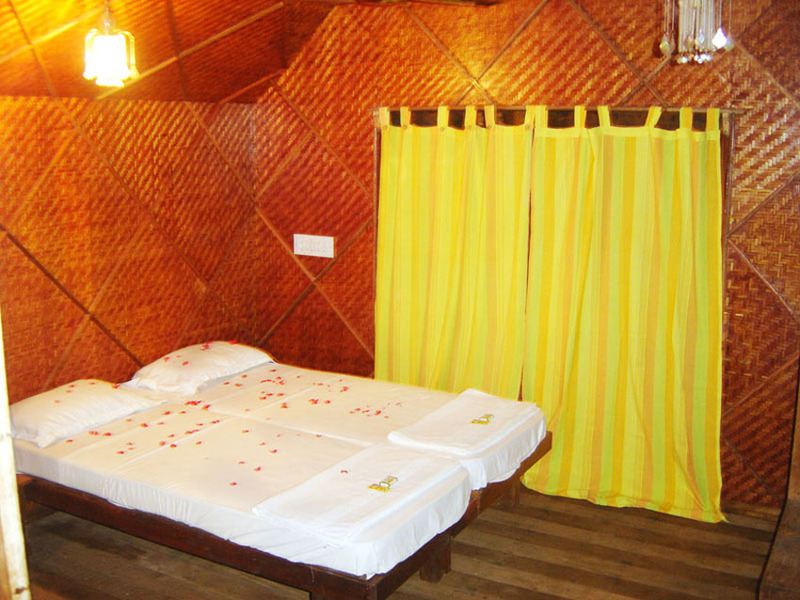 With wooden walls, bright lighting and a private sit-out gives every element for an assured romance. 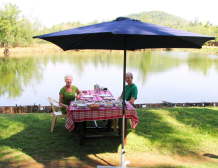 Every day we start afresh. 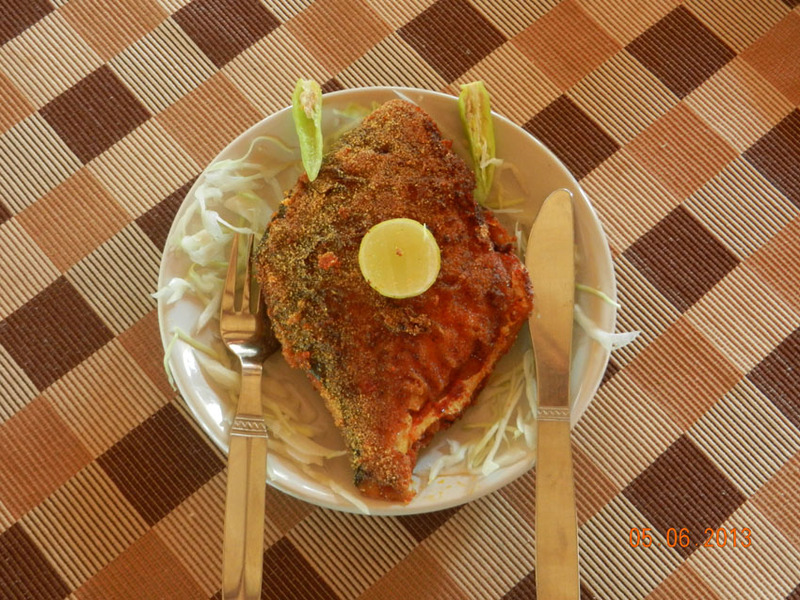 We chop, slice and stir our way to freshly made, konkan gravies, and dressings. Since day one we have sought out the best ingredients to create the great tastes and bold flavours you crave for.A favourite of all is the rave fry fish for dinner.Alcohol Is Strictly Prohibited.